Today, Oil Change International released an analysis of the World Bank Group’s energy financing for its last fiscal year, July 2012 to June 2013. The analysis finds that – in spite of a heightened institutional focus on combating climate change over the last year – the World Bank increased its lending for fossil fuels. Meanwhile, the World Bank also has a ways to go in terms of tackling its objective of supporting universal access to energy, as only 8 percent of the Bank’s energy portfolio last year targeted the world’s poorest. Oil, gas and coal lending reached nearly US $2.7 billion last year as part of a total energy portfolio of nearly US $7 billion. Not only did fossil fuels increase over the previous year, but the World Bank also continued to fund fossil fuel exploration projects – to the tune of US$336 million last year. We now know without a doubt that the world cannot burn even current known fossil fuel reserves in a climate-constrained world. Based on information available in the International Energy Agency’s World Energy Outlook 2012, in order to have an 80 percent chance of keeping global warming under two degrees Celsius, only one-tenth of global proven fossil fuel reserves can be burned by 2050. In a scenario such as this, there is no justification for spending money on fossil fuel exploration, period. The Bank should stop finance for exploration projects immediately. Meanwhile, nearly one fifth of the world’s population does not have access to electricity, while over a third lacks access to clean cooking facilities. The World Bank’s mission is to fight poverty, however, over the last 6 years, less than 10 percent of World Bank energy lending targeted this population that lacks access to energy – and last year was no exception at 8 percent. The World Bank will say a greater portion of its portfolio goes to energy access – but the Bank counts all energy lending to International Development Association (IDA) countries as energy access – even if it has nothing to do with reaching the poor. A review of the Bank’s project documents finds that a much smaller portion of lending actually focuses on poor households or communities – or even on improving reliability of energy services. In order to promote universal energy access, as stated as an objective in its Energy Directions paper of July 2013, the Bank will have to substantively change its approach to energy lending. It is also important to note that the Bank’s lending for natural gas and large hydro does not support energy access to the poor. The Energy Directions paper points to these energy sources as ways to increase energy access, but our analysis finds that less than 1 percent of the Bank’s natural gas and large hydropower financing last year targeted the poor. If the Bank is serious about increasing energy access for the poor, it would shift lending away from fossil fuels and large hydro and towards distributed renewable energy. 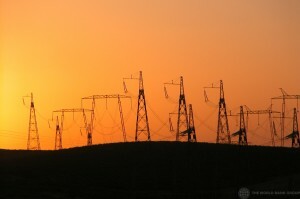 The World Bank has also made a pledge in its Energy Directions paper to stop funding coal except in very limited circumstances, but there are a number of ways that the Bank has been supporting coal indirectly through development policy loans, financial intermediaries, and even by acting as the transaction adviser for coal projects. These represent a significant source of support for coal projects, and the Bank will need to ensure that these loopholes are closed if the institution is serious about curbing coal lending. In short, the World Bank still has a ways to go to be a leader on tackling the dual goals of combating climate change and increasing access to energy. Loan for solar and wind only, nothing combustible anymore, we are in trouble otherwise. Burn it all, baby! Drill, frac, mine and strip. Carpe Per Diem!